The real kits of FC’12 England National League clubs for the 2017/18 season in FC'12 style. Can be used with every Football Manager since 2009. The real kits of FC’12 Switzerland Super League clubs for the 2017/18 season in FC'12 style. Can be used with every Football Manager since 2009. This is a great attacking tactic for FM 2018! Every position is important. For best results, you need fast and technical players and physically strong CM. Barcelgoala is back for FM 2018. Tested with Rangers with surprisingly good results. Enjoy! Logopack with an emphasis on quality. Suitable for high screen resolutions and high levels of in-game zoom. Over 16 000 logos for Football Manager 2018. The real kits of Brazilian Série B clubs for the 2017 season in FC'12 style. Can be used with every Football Manager since 2009. Pack of 56 realistic high quality kits of Spanish LaLiga teams for the 2017/18 season in brilliant ST style. To use with Football Manager 2018 or older. A working sweeper system for FM 2018 with the added caveat of having not one, but TWO "Segundo Volante". Tested with AC Milan and AS Roma. Milla skin for FM 2018, available in dark & light variations. Optimized for 1920x1080 resolution. Thanks to Michaeltmurrayuk & wannachupbrew. The real kits of FC’12 Germany 3. Bundesliga clubs for the 2017/18 season in FC'12 style. Can be used with every Football Manager since 2009. 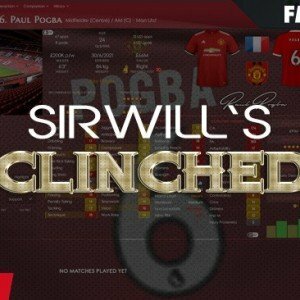 Clinched skin returns for Football Manager 2018. Put together by Sirwill for a number of years. Base skins are identical to the default skins that come with Football Manager 2018, so you can customize what you want without messing up the original skins. Base skins are identical to those that come with Football Manager 2018 Touch, so you can change whatever you want without fiddling with the original skins. The FM 2018 tactic is very efficient for fast teams, if you like to hold ball a lot Pep Guardiola style. I used this FM 2018 tactic for 1 season with Vitória Guimarães and I won the League and the League Cup, while being the team with most goals scored (99)! Player search view for Football Manager 2018 using columns that the FM 2017 player search used to have. Unlock Denmark's lower divisions down to level 7 (Serie 2) on Football Manager 2018. The second teams of Celtic & Rangers in the second division of Scotland. A custom scenario database for Football Manager 2018. Unlock England's lower leagues down to level 10. English football pyramid for Football Manager 2018. A FM 2018 tactic handcrafted by FM Wonderkid Mathias Svenson, acknowledged as a good tactic by FMScout's own streamer Jamie. National Team and three-division league of the Land of Valencia. A database for Football Manager 2018. Handcrafted in Symi, Hellas. Page created in 0.756 seconds.